The aluminium resonance-free headshell can be finely adjusted; the finely adjustable counterweight sets the exact Tracking Force. Stylish design and clean lines make the Verify a stunning eye catcher as well as providing precise signal transfer and a calm, clear sound. This beauty is wired with Clearaudio's high quality Direct Wire. The Verify reaches its optimum sound when combined with the Concept turntable and corresponding Concept MC cartridge. For high-end music lovers and newcomers, this may be the most exciting complete turntable package of all time. But even on most other turntables the Verify embodies an affordable synthesis between breath-taking design and detailrich sonority. Cartridges with a weight from 2.5 to 17 grams are ideal partners for the Verify. 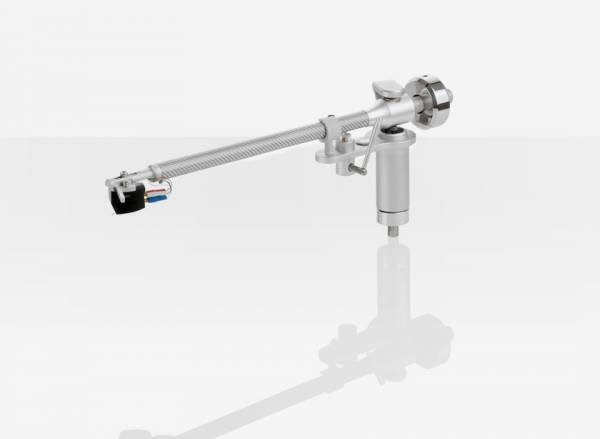 Related links to "Clearaudio Verify Tonearm 9"
Customer evaluation for "Clearaudio Verify Tonearm 9"